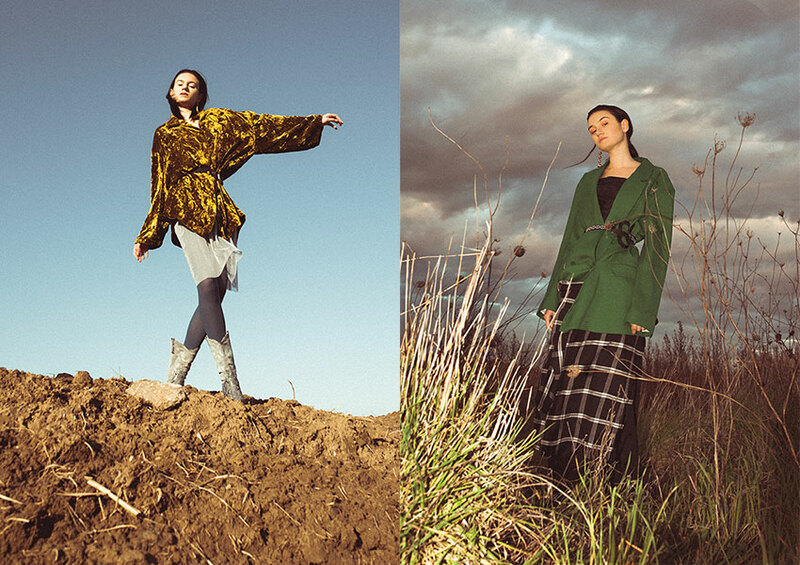 Photography by Omar Hollander and fashion by Benedetta Cardillo. Blazer by Luisaviaroma, dress by Valentino Vintage, shoes stylist’s own, collant by Philippe Matignon, belt by Giorgio Armani Vintage and earrings by Fendi Vintage. Blazer by Joseph, skirt by Acler, pants by Black Halo, shoes stylist’s own and belt by B-Low The Belt. Dress by Luisaviaroma, T-Shirt by & Other Stories, shoes by Ash, collant by Philippe Matignon, hat by Fendi and earrings by YSL Vintage. Dress by Black Halo, fur by Fendi, collant by Philippe Matignon, shoes by Versace Vintage and accessories stylist’s own. Blazer by Forte Forte, shirt by Red Valentino, pants by The Row, shoes by Ash and sunglasses by Dolce & Gabbana Vintage. Blazer by Joseph, skirt by Acler, pants by Black Halo, shoes stylist’s own and belt by B-Low The Belt. Trench Coat by Drome, shirt by Valentino Vintage, collant by Philippe Matignon, foulard by Salvatore Ferragamo, cap by Heron Preston and sunglasses by Stylist’s own. Blazer by Forte Forte, shirt by Red Valentino, pants by The Row, shoes by Ash, sunglasses by Dolce & Gabbana Vintage. 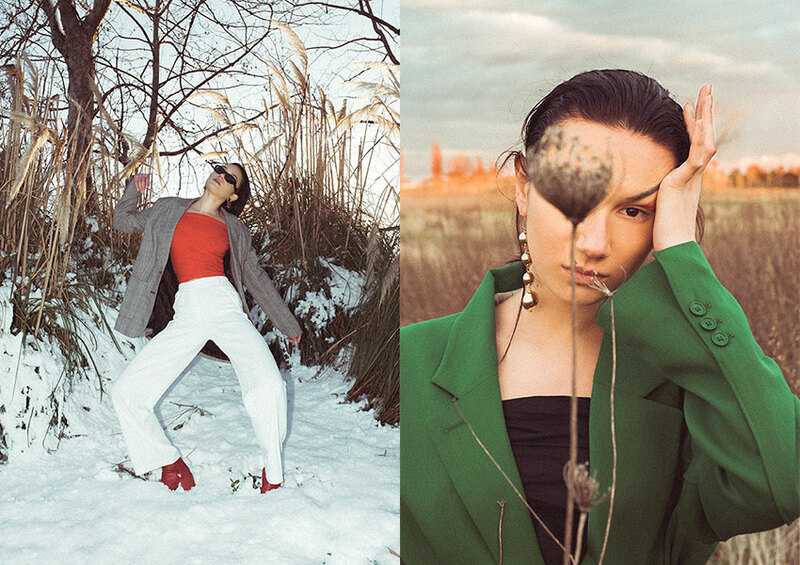 Photography by Omar Hollander, fashion by Benedetta Cardillo and modeling by Livia Jane Ghelli.